Are you an undergraduate already embarking on a degree linked to aerospace and aviation? 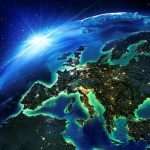 You may be working in a university advising students on aerospace and aviation career pathways, internships or graduate recruitment. 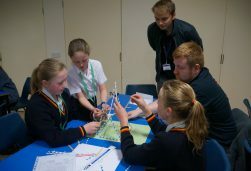 The Careers in Aerospace website contains lots of useful advice for the next steps. Check out our Careers Service pages with advice on making applications, including CVs and covering letters. Use the Careers Directory for information on organisations in aerospace and aviation and their career opportunities, such as internships, work placements, graduate recruitment or direct entry roles for recent graduates. 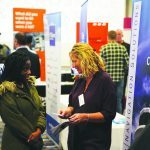 Each year the Careers in Aerospace website comes to life through the Royal Aeronautical Society’s annual recruitment fair, Careers in Aerospace LIVE. 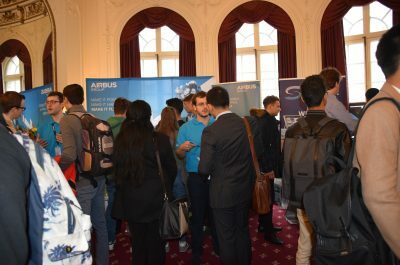 The event takes place at our headquarters building in central London each November with a range of exhibitors from across the aerospace and aviation sector promoting their career opportunities, along with presentations and careers workshops from employers and the Royal Aeronautical Society. The event is FREE for visitors seeking career opportunities although due to the event’s popularity, all visitors need to pre-register online and select from a morning or afternoon session. The next Careers in Aerospace LIVE will be on Friday 8 November 2019 and visitor registration will open in late Spring 2019. If you would like more information please contact the Royal Aeronautical Society Careers team. 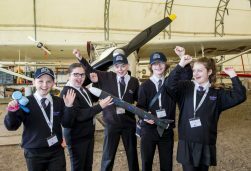 In addition to our events and the Careers in Aerospace website, the Royal Aeronautical Society has free materials for parents and teachers including Career Flightpath magazine with more advice on aerospace and aviation career pathways and opportunities. We can also provide impartial information, advice and guidance if you are a careers advisor or placements officer supporting aerospace and aviation students. Visit the Careers Service pages for more information.